Hypergrace, according to a mainstream Christian news magazine, is a dangerous and unbiblical teaching. By proclaiming the unconditional love of God and forgiveness for all, hypergrace preachers have taken grace too far. We have made grace unbalanced and radical. Hypergrace, apparently, is unbiblical. It’s a modern invention based on a few scriptures taken out of context, and it does not reflect the whole counsel of God. This claim – that hyper or extreme grace is unbiblical – is easy to test. All you need is a Bible. God is rich in grace, but how rich is he? The word for riches in this verse (ploutos) is the same word used to describe God’s wisdom and knowledge (Rom 11:33). God is as rich in grace as he is in wisdom. How wise is God? He is exceedingly wise! He is hyper-wise. As for one, so for the other. Limit God’s grace and you limit his wisdom. Other translations refer to the “full wealth,” “extraordinary greatness,” and “immeasurable (limitless) riches” of God’s grace. According to this scripture his grace is surpassing and incomparable meaning “it can’t be compared with anything else” (NIrV). Whew. Calm down, Paul, you’re getting carried away! Your epistle is unbalanced and extreme. The word abound (perisseuō) means overflowing as in “more than you need.” It’s the same word used to describe the leftovers after Jesus fed the 5000. Excess food reveals excess grace. God gives you grace for your need and then he gives you extra grace that you don’t need until you are overflowing and spilling grace all over the place. In other words, God is generous to the point of lavish wastefulness. The abundance (perisseia) of grace doesn’t sound that impressive in English but it’s super-impressive in the original language. The word literally means super-abundant. What superman is to man, superabundant is to abundant. Read it literally and Paul is talking about the superabundance of God’s favor, which is an apt description of God’s exceeding, incomparable, and over-the-top grace. Paul uses the same word as before – the one that means super-abundant – and adds the prefix huper or hyper, which means over, above, and beyond (huperperisseuō). So if you think God’s grace is super-abundant to the point of superfluous excess, you are halfway there. And if you think it’s hyper-, you’re getting warmer but you’re still not quite there, for Paul literally preaches a hyper-super-grace! Yes, it’s the same old word in English but English is a woefully poor language for describing the extraordinary riches of God’s grace. Here we have another compound word, huper (over, above, and beyond) plus pleonazō, which means to increase or super-abound. As with his letter to the Romans, Paul literally describes God’s grace as hyper-super-abounding. The apostle of grace demolishes the notion that hypergrace is an unbiblical or modern message, and we’ve only looked at six scriptures. We have not examined the extreme grace of a God who loved us while we were sinners (Rom 5:8), who took the legal charges against us and nailed them to the cross (Col 2:14). We have not considered the hypergrace significance of the cross and the empty tomb. On account of grace and at great personal cost, God tore up the books recording our sins (2 Cor 5:19). Nor have we considered the testimony of a universe that is inexplicably expanding at an ever-increasing rate because it isn’t yet big enough to contain all the good things a hypergrace God has planned for us. To suggest that God’s grace is less than hyper is unbiblical and blasphemous. It’s like saying God is good but he’s not that good, he’s wise but not that wise. Diminish grace and you diminish God. Get your understanding of grace from Christian magazines, and you can be forgiven for thinking that hypergrace is bad, modern, and unbiblical. But read the Bible and you will see that hypergrace is a small word for describing an extraordinary reality: The One who sits upon the throne of grace is exceedingly rich in grace and he has poured out his measureless grace upon you! Hypergrace preachers have not taken grace too far. On the contrary, we have not taken it far enough. We have not begun to scratch the surface of God’s goodness towards us. 91 Comments on Is Hypergrace Biblical? God’s grace is no less than God’s love. God’s love (and grace) are perfect. You cannot improve them, nor can you diminish them, they are who He is and revealed in everything He does. I’m a bit confused as to what ‘hyper-grace’ actually means. Is the description here [site deleted] valid? Peter, that site attacks a distorted and manmade version of hypergrace. The author perpetuates several well-known myths about those of us who preach the gospel of grace. As long as we define grace the same way the Bible does (see above), all will be well. Christ in you is hyper and good news. 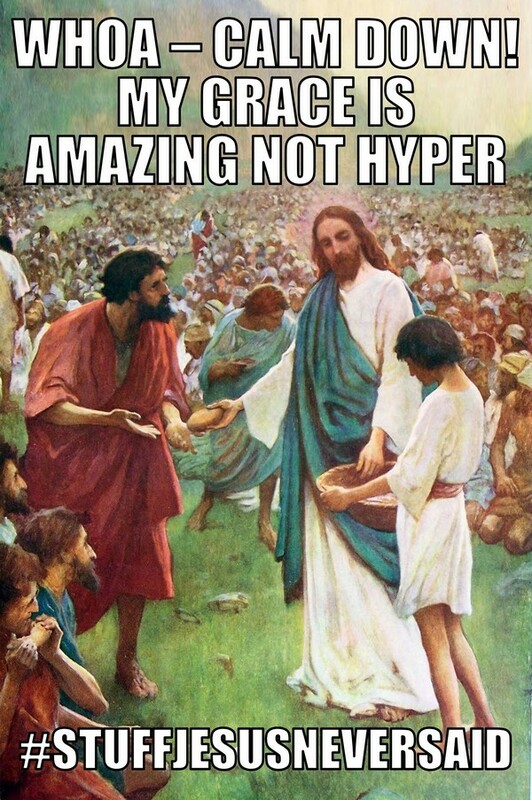 “Hyper” means too much. I think the term was originally used derisively by someone who thought that others were taking the concept of grace too far. The “too far” people took the term as a badge of honor, understanding that you can never have too much grace. The concern is that people who are saved completely by grace will think they don’t have to obey any rules and they will behave badly. Therefore, they need some LAW, a mix of grace and law. What they don’t understand is that a true understanding of grace will lead better behavior, just for different reasons. We need too much grace to really change. We need to be overwhelmed by it. I totally agree. Jesus is the face of grace. Thank God that we are free from guilt. The cross is good news. And a mighty gospel that proclaims Christ in you sets men free! There was a time when I didn’t believe in the hypergrace of my Father. As a result, my life reflected a lack of hypergrace. I even had an interpretation of scripture that supported my lack of grace and belief. Now that I do believe in His hypergrace and have encountered hypergrace for myself, no one can tell me my experience is an error. It reminds me of the Home Alone movie. All of the kids were afraid of the old man with the beard. They talked about him like they knew him, but none of them really did. They misinterpreted everything about him because of what they believed about him. Kevin became afraid of him as well because of what the other kids said, but when he started to find out for himself, he found the old guy was much different than his reputation. I love a good movie illustration. Good example, LJP. Thanks so much for this post. It is liberating! I’ll rather agree with what the Bible says than what men think the Bible says. Thank God for his super-hyper grace. Grace is biblical and it sets us free but only to praise Jesus for what he did for us. Some say it gives you a license to sin. If Jesus in in you and you are in Jesus,sin has no hold on you. 1st John 1-9 is used as a bar of soap instead of teaching it is for lost people. Just read 1 John 1-8 through 1 John 1-10. its plain to me. We are not in and out of fellowship. You are either in the fellowship saved or out of the fellowship lost. I think some teachers and preachers don’t want their people set free is sort like the GOP not liking Trump,THEY CANT CONTROL HIM. .
Grace gives you a license to SING! Excellent post as usual, Paul! Thanks for breaking those words down into their Greek counterparts for all of us English speakers. Grace truly is so good, it’s too good to NOT be true! I was in disagreement with Dr. Bill Brown when he proclaimed that Grace preachers/teachers were “hyper” and in error. I decided to preach a series about Grace and titled the series “Hyper-Grace” and my intent way to prove Grace was really Hyper. Little did I know that my study would lead me to Romans 5 and the Greek word “huper”. I was blown away. Surely, I was mistaken. No English translation I could find even hinted that Paul was using hyper to describe Grace. But I believed in my spirit I had found the “Holy Grail”. That day I discovered your blog quite by divine accident and there it was – huper. You were the first to confirm what I had found. I spent a great amount of time in seminary and no one ever even mentioned such an understanding of the Grace of God. I have had lots of fun teaching folks about Hyper Grace and how to say “huperperisseuo” It sort of rolls over in the inside of your mouth when you say it. It is indeed Much More than you could ever imagine it could be. Thanks for being faithful and accurate about the Hyper-Grace of God. Thanks for sharing. For those who don’t like big Greek words, I have a simpler one that means much the same thing: agape. Back in the seventies/eighties we used to talk about this word all the time. I haven’t heard it in general use for a long time. That’s a really good point. Now I remember the foundation of why I think grace can’t be hyper (by hyper, I mean “too much”). God’s love is agape – unconditional. That means its there no matter what I do. Even back then, I could tell a lot of my Christian friends hadn’t really grasped how unconditional unconditional love is. Insecurity to the finished work of Jesus makes people add their own works into a covenant clearly between God and Himself. All dead works and fearsome living. Been there done that, never ever again. Thanks Paul. You cannot bow down to religious manipulation and control. I was just reading the first chapter of Ephesians yesterday…Paul is completely blown away by it, isn’t he? I mean the whole chapter is simply full of superlatives…how his scribe could write fast enough to take down the dictation is beyond me! (Or was Ephesians one of the dictated letters? I dunno – but you get the idea). Paul was simply bursting with it! Is there a reason that this mainstream Christian news magazine you refer to said that hypergrace is unbiblical? Not having the original source, it’s difficult to understand how a Christian resource would limit God. Hi Jen, this issue has been around for some time and you can find numerous articles here responding to various allegations made against us who preach the gospel of grace. Put “hyper-grace” in the search box to find them, or start with this one. Amazing Grace!!! It really is amazing – astonishing, astounding, surprising, stunning, staggering, shocking, startling, stupefying, breathtaking; awesome, awe-inspiring, sensational, remarkable, spectacular, stupendous, phenomenal, extraordinary, incredible, unbelievable; mind-blowing, jaw-dropping; wondrous and very very Hyper! I may have said this more than once. 1. Marvelous grace of our loving Lord / Grace that exceeds our sin and our guilt / Yonder on Calvary’s mount out-poured / There where the blood of the Lamb was spilt. Refrain: Grace, grace, God,s grace / Grace that will pardon and cleanse within; Grace, grace, God’s grace / Grace that is greater than all our sin. Since GRACE is a reason to sing, as our humble servant, Pastor Paul Ellis writes, may we all sing this song from wherever we are, today. And as far as possible keep singing. The thing is that once this concept of ‘hyper-grace’ has been made real to you, once it has been revealed to you, it changes your entire outlook and nothing is ever the same again. This really is real. Interestingly, God revealed hyper-grace to me personally some years ago, and He’s been doing the same to people all over the world. When I saw writings like yours, Joseph Prince’s and Jeff Turner’s I realised that what I already had was what you are already preaching. And it was good to know that others think like me to. So beautiful Paul, thank you for your teaching – as God is Love, it makes complete sense !! THAT article sets out the biblical position with such clarity that (as Andrew Womack might say) one would need help to misunderstand it……. (the help of ‘a doctor’, perhaps…?). As regards reference to a (presently) ‘expanding universe’, I believe it might be best not to allow that to become a point of contention (should anyone seek to do so). Very well said Paul. One of your best posts. I touched heavy on this and taught on the superfluity of the gospel last week. The dunamis(divine power) works with perisseou and huper to form a powerful influence of the gospel in every area of our life. There is also a manifestation of grace called huperballo where we get the word ballon from. This type of grace always abounds (balloons) ahead of your need(the exceeds and excels). The gospel is always a superabundant overflow! The reproduction of life seems to be so important to the creator that although only a few healthy sperm is needed for fertilizing an egg, I learned that an abundance of them are available upon release, for the same purpose. This seems interesting, that to ensure reproduction the Lord of creation and of procreation sets up this system in a way of abundance, plenty, over and beyond the need, to the point of seemingly wastefulness. This abundant expression of God’s love is manifested in a very practical key area of our physical lives, let alone in an area that has to do with our spiritual redemption, our peace with God, the Father. Amen it takes hyper-super-grace to save the super-sinful like me. Grace, like the love of God, is boundless and hyper grace as explained through those huper words, are simply wonderful. But I also believe that the human heart, being extremely wicked would love to find loopholes to satisfy its evil inclinations. Thus, antinomianism easily sets in leads people astray. Dont forget that Jesus said its not all who call Him Lord that would make it and when asked, He said only a few would make it, citing that only 8 made it in the time of Noah. Need to sound some caution! Whew! Thanks for that Lawrence. It has been said that one hasn’t preached the Gospel aright if someone DOESN’T bring up a caution similar to what you have just said. For a minute there, I was worried that Paul wasn’t going to get that kind of confirmation, but I’m glad to see that you provided it. God Bless you, and here’s hoping you learn to trust the Scriptures more fully as it is written, not as you view it! Yes, the ‘old man’ human, fleshly heart remains wicked and is drawn to licence (which is not the same as antinomianism), as Luther reminds us with ‘semper peccator’. But when Jesus rebutted some who had done good works, He did not say ‘your good works are not enough’, He said ‘I do not know you’. hi Paul, i just got to kn your site few days ago, am Pastor Peace Emmanuel, am also a Grace preacher, thanks for your write up on hyper grace, i must preach it ,ore stronger, we have recently opend a Grace bible sch where we teach people who are called to the ministry the full Grace of Christ, the world need to hear this Goodnews, its really too Good, Godbless you Man of God. same here! it is like a breath of fresh air, where all we can do is say wow, and thank you Lord. 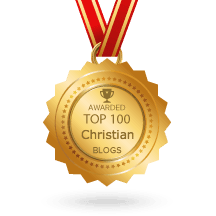 For 33 years I was kept in a legalistic prison of trying to please God type of Christianity. Then 4 years ago through Paul Ellis’s web site I was miraculously set free by the revelation of God’s amazing grace. Before I could not forgive the people who had hurt me, but now the pain and not being able to forgive has fallen away. Also years of guilt and condemnation has gone too, and all that I’m left with is peace and contentment. In Jesus Blessed Name, Haydn. Wonderful story! God’s grace truly changes us. Thanks for sharing, Haydn. Haydn, your experience and my experience of being in prison are the same. The only difference is, my imprisonment has been 7 years longer than yours. When I say that I waited 40 years to find release from this prison house, it is not an understatement. I believe it is the leadership of the Lord, to Whom I have cried throughout those 40 years, that has brought me to the discovery of a servant of God, Dr. and Pastor Paul Ellis– just like a specialist physician on a certain illness, to effect a cure by the help of the Great Physician, Jesus Christ. I had half the cure all these years because I knew that something was wrong. Now, I found the other half of the cure, in simply knowing and meeting in real time, someone, Pastor Paul Ellis, who actually believes and communicates passionately about the comprehensive sufficiency of God’s saving grace. I do remember that just upon going to bed one night in Anchorage Alaska, I had the urge to try one last time to find someone out there who could understand my complaint regarding the issue of salvation by grace. I thought of the kind of words to put into the search engine. And as I did, I found Pastor Paul Ellis and his work on the very same matter. He validates my quest for the real vital bread of heaven, which only can feed the soul to full satisfaction with God’s wonderful grace, minus the corrupting effects of human works and effort . I was greatly relieved to find someone who resonated with my situation in the manner that Pastor Ellis does. Excellent post, Paul. The thing about grace as contrasted to effort and religion is that it is supposed to be offensive. We have become so used to biblical stories like the prodigal son that we have forgotten how scandalous and against human logic grace really is. Jesus accepted all people no matter how sinful except for the proud and religious, no matter how good they were. When we think that someone is going too far with this grace thing it reveals our heart – that we think that we still have to do our part. This was a sweet read. Made me so joyful! Thank you for writing these things so eloquently! Great article. Grace is hyper, more than enough! Too much Grace is dangerous says religion. I’m glad Jesus and the Word disagree. The majority of our detractors are those who’ve been rooted in holiness circles, believing firmly in the idea we must strive to arrive and achieve to receive. They hold fast to the concept that a believer can sin away their salvation or forfeit it by unbelief. Any thought, teaching or idea that reveals we have perfect acceptance and an unconditional eternally secure salvation seems like irresponsibility and excess and extreme theology. So glad for great teaching like this that settles the disputes and graciously answers questions. Hello Dr. Paul Ellis. I accept your permission to give and sell copies of your book. I am just checking with you before I do. If selling, how much do you suggest selling per copy? I am not as versed in computer jargon. How do I tag you, the author, if I list the book on a website or anything similar to the function of a website? Per your direction. Please correct me if there seems to be a misunderstanding. Thank you kindly, Sir. You are welcome to sell or give away copies you have purchased. Thank you kindly for permission. Sorry Richard, I didn’t see it. WordPress filters out some posts before I see them. Short posts that are link-free should have no trouble getting through. Why not try again? This does not mean passivity, fatalism etc because the words we hear excite and enliven; then we jump up and tell others and live them out – all the while coming back to listen. Richard – I found your other comment. You posted it under “8 Signs of Hypergrace Churches.” I remember reading the army story and thinking that was a good analogy. Richard from UK: I appreciate your post beginning with the words, “Critics of pure grace”… That is excellent understanding afforded by simple acceptance of God’s’ pure, unadulterated grace. This grace empowers us with life, joy, and good intelligence. Yes, I agree with you that Jesus does not send us back to the law after the law sends us to Him for cleansing, anymore than the water sends us back to the mirror to check our faces after they have been washed. The water does not require this for our cleansing since it has already cleansed us, before we can get back to that mirror. The cleaning is already done by Jesus/the water. We can go to the looking glass if we want as an expression of liberty and freedom, to look at, and admire our cleaned faces, but not out of obligation. We have been already cleansed. Now, we can go straight to the table to eat or to where ever else our joy of salvation may lead us, under the auspices of the Holy Spirit. Would you mind (unless I have misunderstood you) if I suggested one even more radical position? The law does not send us to Jesus for ‘cleansing’ according to the law’s standard of ‘cleansing’, ie that somehow we do become cleansed people in and of ourselves. (If that was His primary job, He would need to cleanse us daily; Jesus would, as Peter requested, bathe us daily, hourly. That is effectively the Catholic position – that we might be restored after each confession) On the contrary, Luther correctly asserts that Christians (while semper iustus) are alo ‘semper peccator’ – get used to it!! Thus the Protestant position claims more, by virtue of something I don’t really understand, which is that by ‘union into Christ’ we are covered, permanently, with His robe of righteousness. So it need not worry you if I ask you ‘How clean are you?’ All you need say is ‘My Lord is clean’. The cleansing we receive is by being taken up into the life of Jesus Himself, a doctrine we find very hard. As the Reformers put it, we receve His cloak of righteousness as we are united with Him. Fortunately the New Man, in Christ the Father’s beloved Son, is all we need; the old man lingers, painfully so and without remission till we die. Why? I don’t at all know but maybe that the chrysalis should understand its own regenating birth into a butterfly. Certainly, we must see our need of the Savior in order to gravitate to the Savior. God does all the works we can’t do. But our efforts demonstrate good faith, not bad works. These are appropriate responses. We cannot be cleansed on our own or by within ourselves. We must confess the Lord Jesus Christ, by our faith, trust in Him. We must take on Christ as He is offered to us because He is our substitution, His righteous life for our unrighteous life. And it is a simple transaction that naturally engenders humility on our part when truly contrite and broken of self, for the need of God’s grace and mercy. See God is strictly in control of this operation. We are only participating, responding appropriately. This is what makes it a simply beautiful transaction. The grace of our Lord Jesus Christ be with you, and upon you. By “But our efforts demonstrate good faith, not bad works. ” Do you mean that we should put in some effort as a good faith gesture”? I don’t think I agree with that. If you mean that because we have faith it shows in our actions, that makes more sense. The first way makes it transactional: He’s not going to bless (or save me) unless I at least try. The second is simply fruit. I do out of who I am, I can’t do anything else. ‘Keep in step with the Spirit’ is surely key. A rough analogy is a partner in a waltz being led around the floor. It is indeed ‘us’ moving round the floor, but the initiative, the power, the knowledge, the inspiration is all from God. I am uneasy if we say that we are a participant with or in His power (as many do); it suggests cooperation, but our role is much more responsive (probably a better word than passive). The party being led in a dance is only cooperating to the extent that she has given herself over to the whole design, and even that was being caught up in some form of adoration for her Bridegroom. Our ‘good deeds’, therefore, are no more ours than when the Bridegroom in the dance causes the bride to place her foot in the right place. It is a matter of shared delight; it is not a question of the bride having done anything ‘good’, or ‘in good faith’; that smacks of too much independence or, as they used to say, ‘independent motion’. Forgive me therefore if I am also uneasy with phrases like “We must take on Christ as He is offered to us”. He is more than “offered to us”; it is He who takes up those whom He wants into His life-giving dance. Nor is it “a simple transaction”; that is the notion of a deal, something exchanged by mutual agreement between parties. No, we are ‘taken up’. Richard, I assumed you were from the UK. It may or may not be the case. Please disregard my assumption. I was only eager to express appreciation for your post. Thanks. Your mirror picture is interesting. James 1:19-24 is often quoted to advance some moral adherence (by which I mean a moral adherence but without the natural rising of the Spirit in us – in what is always His own good time) but surely v25’s ‘looking intently into the perfect law that gives freedom’ bears out the camp fire analogy. Trust God! And if He lets you down, then say ‘But You promised’!! He is not faithless to His word! Thanks Richard. The world, yes, our corrupting world, just as the Roman soldiers (representatives of our human race) who crucified Jesus, has also crucified the product of His glorious sacrifice for us, God’s GRACE. It’s hate is of the same specie, from the same DNA. But just as the Lord Jesus Christ could not be kept down in the grave any longer than the time appointed by divine providence, so can’t His grace be subjected to man’s hegemony. It will rise. It has risen with healing in its wings for us. This grace is a product of divine origin, superintended by the Holy Ghost to the benefit of WHOEVER, believes in Jesus Christ, the Savior of fallen humanity. And should we, the very needy recipients of His grace fail to bask in the glory of God’s resurrecting grace? It would be an added insult to the loving Father’s Heart. No, Richard. We may not need to approach the judgment of God with ambivalence; but we must be given multiplied grace that releases to our hearts, minds, and spirits the comforting, joyful peace of God, which surpasses all understanding. Not based on our own personal strength shall we approach His Majesty, but with His enabling power and grace. For it is grace which has brought us thus far; and grace will lead us onward and homeward into the kingdom of our God. Great to see you wax so lyrical! Might I try to offer even more specific encouragement. Certainly we do not approach the judgment of God ‘with ambivalence’ – we can, and actually should, approach it with delight. We always associate judgement with either condemnation or at least a continuation of the status quo (as would follow a ‘not guilty’). But the judgment of God is one of recognition – either ‘I know you not’, or, our delight at coming at last, in irreversible safety, before the very face that has known us, cared for us, chosen us and died for us. When I turned and saw my wife come down the aisle, my heart took an involuntarily extra beat at how sweet she looked. So much more will it be when we see Him and His nail wounds sat on that welcoming ‘Judgement’ seat. Scripture teaches us to look forward ‘in certain hope’. We tend to think of this as time in heaven after we have negotiated the potentially difficult situation of the Judgment Seat. But that Judgment Seat is part of our hope because that is when we will first see Him! First see Him – is that not extraordinary! And He has promised us that He, in His glory, will not disappoint us! So let us all beware all attempts of the enemy to interpose opportunities for fear between us and He who so often says ‘do not fear, little flock’. Because the English language, and all earthly languages in general are limited in their ability to guarantee perfect and accurate understanding of what is written/spoken at times, we must ask questions for clarification. I appreciate your dissatisfaction in what you thought or felt was not right. Certainly, I could not mean that our efforts is a demonstration of good faith, in that way. I mean that such efforts are springing from what happens with us when we have been already connected with Jesus Christ. Such are efforts or works under the influence of another power, one outside of ourselves, not human’s own base efforts to gain favor with God. If such were what I meant, it would not be good faith effort, but bad works. For Ephesians 2:8-10 already tells us that it is NOT of works less any man should boast, that we are saved. That is the BAD works. But verse 10 shows us the description of the GOOD works, which is now tracked by God, subsequent to our new birth in His grace. “For ye are the workmanship of God created in Christ Jesus unto GOOD works, which God hath before ordained that we should walk in them.” There it is. Any good work is done in grace. And this is legal, spiritually legal situation. Grace is the current that produces such good. And such works are never done in fear or trepidation. They are always done willingly, passionately, honestly, justly, reasonably, gracefully, restfully, peacefully, kindly, joyfully, and happily. We do not worry as we execute such works. But it is understood if we are still sensitive to the slightest shadow that seems at first to resemble BAD works, but really are not bad works at all–but good efforts fueled in our lives by an already working reason for our faith, which is the grace of God through Christ Jesus. In time we may get over the sensitivity which would indicate increasing confidence and understanding in the Word and Principle of God’s love and grace. I absolutely loved this post and benefitted tremendously from reading it. Many use the term grace for what the NT calls “Lawlessness”. This is what the term hyper grace is usually directed at. And that’s called elision. Although a simpler word is confusion. In any case, the notion that the gospel of grace, however you label it, promotes lawlessness is groundless. More here. I think the point of the other side is that you cant isolate just one attribute of God and neglect the others. Yes His grace is amazing and so undeserved. Yet at the same time He is just, merciful, disciplines His children, compassionate, sovereign, holy, righteous and many other attributes the Bible describes Him to be. Some people do use grace as license to sin forgetting that God hates sin and because He is holy it cant be in HIs presence. I think that is the point of those who disagree with hypergrace, not to neglect His other attributes and know the whole counsel of God. Mary, there is no other side. The scriptures declare God is love, not God is love plus other bits. God is love and love that reaches down is grace. His mercy, righteousness, and wrath can only be understood in the context of his divine character, which is love. People use the “whole counsel of God” label to suggest grace must be balanced with ungrace or love must be balanced with unlove – which is like balancing light and dark. He is the Father of heavenly lights “with whom there is no variation or shifting shadow.” Here is what the Bible says about the whole counsel of God. *chuckles* Why Paul, you’d have to wonder if you preached it aright if you DIDN’T get a response similar to Mary’s! Mary – might this help? God is not a schizo caught between holiness and love which then seems, as if through gritted teeth, to emerge as mercy. Of course we are offered many verses to support the ‘moral’ view, eg Habakkuk’s ‘you are so holy that you cannot look on evil’ but in fact the verse, and import of it, could not be more different. Habakkuk asks God a challenging question ‘Are you so holy that you cannot look on evil AND DO NOTHING?’ Habakkuk, like Moses, knows the heart of God and ‘puts Him in remembrance of His promises’ (or mercy). Habakkuk is saying ‘save your people as You have promised!! Is that not the God you hope for, you pine for? Do you really think you will get to heaven and say ‘God, you are something of a disappointment compared with what my inner heart has so trusted You to be’? Excellent analysis! There are times that I worry about the rigor of your arguments, Paul, but this one is top notch, worthy of the preciousness and supreme importance of Grace. Gonna save this one and use it rather than write my own. Paul, I have appreciated your material for years. I agree with everything you’ve said about grace. Grace is abundant. Grace is “over and above,” etc., etc. However, I have never understood why is it necessary to refer to it as hypergrace and give the doubters a big target with which to misled people. Paul just refers to it as the grace of God or the grace of Christ. In our everyday language it is simply the gospel of grace, or grace is the gospel. So when the word hypergrace is used many people immediately think hypergrace must be something different from what Paul preached. And the discussion unnecessarily starts out to our disadvantage. What am I missing? Two-thousand years ago, mockers came up with the label Christian to belittle those who followed Christ. Instead of fighting back, the believers adopted the label with pride. Recently critics came up with the label hypergrace to marginalize those of us preaching the gospel of grace. In the same spirit as those early Christians, many of us have adopted this label with enthusiasm. That it should actually be Biblical and 100% doctrinally spot on is a bonus. In truth, hypergrace is as redundant a phrase as free grace or radical grace. But since the grace of God has been greatly diminished by bad preaching, it is occasionally necessary to add the prefix. As you can see from the comments on this thread, the word stimulates healthy discussion about the true nature of God’s grace. It undoes the damage of bad preaching. Paul, elsewhere you said that grace is amazing and hyper or it’s not biblical. But I don’t always tell people that because I don’t know or remember, like a lot of things here. But we’re not bible machines are we? Jesus was special. Many have and will be or are already made to be like him. All praise to God and His children. Yes now I know. And I am so glad. When do we need grace? Isn’t it logical that the same grace will be revealed in us here and now, not only in “eternity”. We have to have the scales removed from our eyes to see it. Scales of legalism! I like these teachings, but am confused when I see friends who claim to be Christians yet have no problem sleeping with their boyfriends, getting drunk and basically living like the rest of the world. They say grace covers their sin. They aren’t living under the law-so why aren’t they changed by grace and empowered not to sin? Because it’s not God’s grace. Jesus died to set us free from sin, so anyone who uses grace as a license to sin has embraced a counterfeit grace rather than the grace that teaches us to say no to ungodliness. Excellent reply, Paul! I ran across Titus 2:11-13 a couple of weeks back, and I’ve been teaching prisoners from 2 Peter 1:2-11 for the last two months. Both talk about a process of training and learning, with Peter talking about the “ladder of grace” (faith, virtue, knowledge, self-control…). Zero progress is either a sign of a false conversion or a lack of knowledge of what salvation by grace through faith in Jesus Christ entails. The Titus passage points out that its Grace that teaches us to live godly lives. But the 2 Peter 1 passage teaches that progress comes in stages (or layers of a foundation), so expecting perfection immediately after conversion is being deliberately unreasonable. On the other hand, while progress is expected to be gradual and comes in stages, it does come. The best way that I can explain it is: What happens when someone gets “saved?” I did not say a little prayer that gave me a ticket in the door to heaven. I met God. I entered into a relationship. To truly meet and interact with the God of the universe changes us. It changes my orientation to Him, myself, and the world around me. If someone claims to be a Christian, but has not changed the way they relate to the world, one could easily suspect that they haven’t met the real God. Second, it changes the way I think because my life is no longer about me. I have been fulfilled, so I no longer even seek to satisfy my own needs, much less wants and desires. My orientation is not me, but God and others. Sleeping with a girlfriend, or getting drunk, suggests that I am still living to fulfill my desires, or worse, that I believe I have some “need” that God isn’t fulfilling. It isn’t behavior per se that is the problem, but that I do not trust God. I wish I had more space to articulate how these behaviors show weak human attempts to meet needs for which God is the real fulfillment and how a real relationship with God would lead to the extinction of these behaviors. Grace is not the problem with the people you describe, but more likely a lack of it. 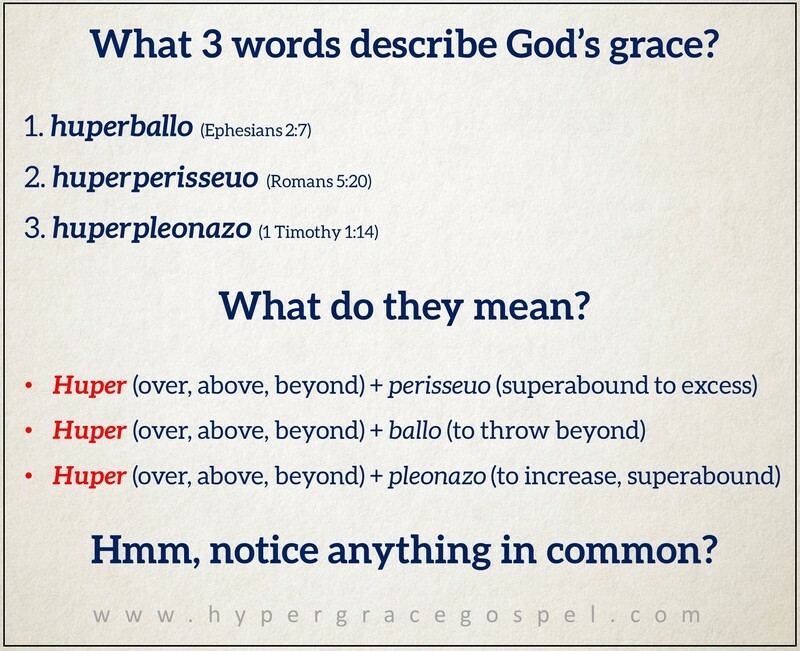 Yes, hyper grace is biblical because the way different accounts in the Word talk about grace in the original language describe it as super limitless. Even Paul’s accounts support this fact. The same words used to describe God’s knowledge and wisdom are the same for His grace so there you have it. What else can I say?